A collection of unconventional Holmes stories and parodies by notable authors. There's even one by John Lennon. The Misadventures of Sherlock Holmes gathers together the best of the hilarious mishaps that have befallen the greatest detective of them all--the tales that Watson couldn't or wouldn't tell, for reason of discretion or just plain incredulity. 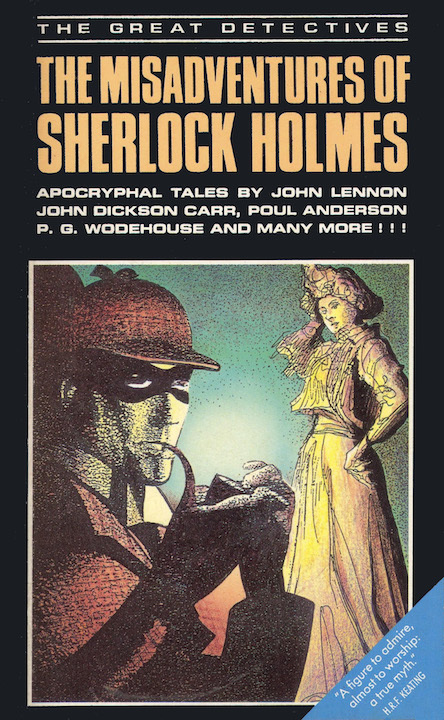 This hugely entertaining volume--essential reading for Sherlockians and a feast of amusement for everyone else--is a collection of parodies, burlesques, pastiches and "unofficial" adventures.